Toss a little olive oil in a frying pan or wok. De-case the sausage links and tear them into inch chunks. Brown them completely in the pan. 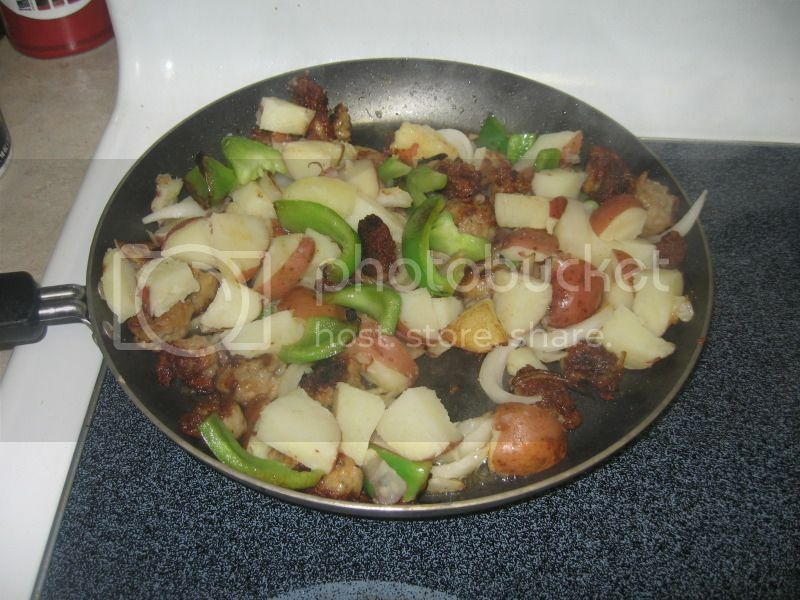 Slice and add your potatoes. Let them brown in the oil as you slice the onion and pepper. Add the onion and pepper, garlic, salt and pepper, and brown for just a few more minutes. Add 3/4 cup of water. Lower heat and cover. Add shredded cheese. Continue cooking until melted and bubbly.